March 5, 2009: Michael Jackson announces plans for summer residency at the O2 Arena during a news conference in London. 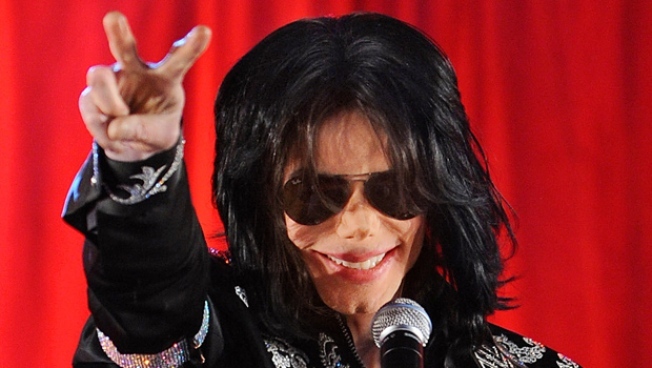 Items from Michael Jackson's rented estate brought in nearly $1 million on Saturday. The 100 North Carolwood Auction was held on Dec. 17 and surpassed the pre-sale estimate by triple the amount, according to the President of Julien's Auctions Darren Julien. Among the 500 items auctioned, the highlights included Michael Jackson's bedroom suite, which sold for $25,000, a Rooster Chalkboard with a note from the Jackson children for $5,000 and the rug that was beneath Jackson's bed for $15,000, said Julien. Jackson's personal shower bench originally priced at $5 was sold for $3,000. Every item on the auction block was sold. Fans of the "King of Pop" attended both the "Michael Jackson VIP Reception" and the actual exhibition itself. The reception welcomed Jackson fans prior to the opening of the exhibition and provided an opportunity for them to bring memorabilia items to the Jackson family. "Michael Jackson has amazing fans, they're very passionate. They brought tributes because these were items that surrounded Michael and his family for his last year or so; it was a way to honor them," said Julien. Julien's Auctions specialize in entertainment memorabilia and previous auctions include the collections of Cher, U2, Barbara Streisand and the estate of Marilyn Monroe.